← Holy Gwockomoly! This Birthday Card is Be. A. Utiful. 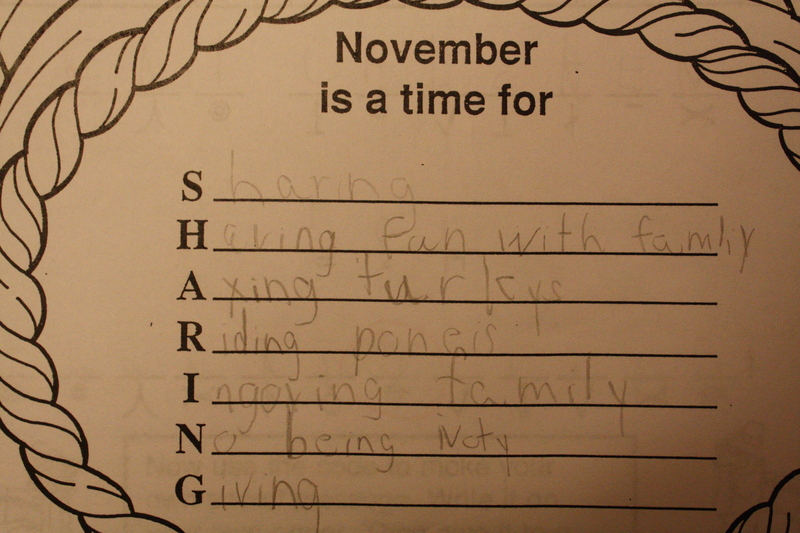 Posted on December 1, 2011, in Misspelled, School Assignments and tagged Humor, kid writing, Stuffkidswrite.com. Bookmark the permalink. 6 Comments. I swear that says Ignoring Family. Tell Nolan I’m so glad to hear there is at least one month that is set aside for me to ignore these crazy people I live with. LOL, I love that he knows to have fun with family and then ignore the family, apparently kids have cut off times just as much as adults do, huh? And axing Turkeys is #priceless. And he’s trying not to be “noty”. I love it! I’m pretty sure it’s “ignoring family.” Oh, the wisdom!